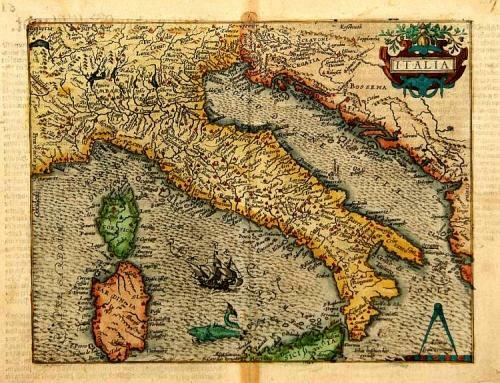 Quad's map of Italy is derived from Ortelius and is a beautiful example of the cartographer's art. The map is signed by the engraver Johan Bussemacher. The condition is very good with some very minor, mainly marginal, browning of the centerfold. Reference: Atlantes Colonienses, QUA 6.